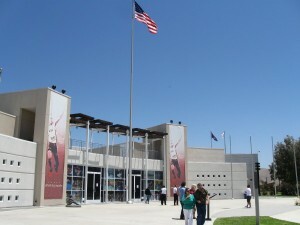 United States Olympic Training Center Tours - TourGuideTim Reveals San Diego! U.S. Olympic Training Center Tour Highlights: There are three Olympic Training Centers operated by the United States Olympic Committee. One is located in the southeastern area of San Diego. [Update: In 2016, ownership of the facility was turned over to the City of Chula Vista and they've contracted with Elite Athlete Services to operate the facility.] The others are located in Lake Placid, NY and Colorado Springs, CO. Take this unique opportunity to visit the Olympic Village where you will see athletes training for nine Olympic Sports. They include Archery, Kayaking, Cycling, Field Hockey, Rowing, Soccer, Softball, Tennis, and Track & Field. The Center also hosts other Olympic team members in need of general conditioning while their hometowns endure tough weather conditions or when they need to avoid distractions as they prepare for events. Wear comfortable shoes since there will be a lot of walking. If you are visiting during the summer, it is sometimes much hotter at the Olympic Training Center in Chula Vista than it is along the San Diego coast. Wear your sunscreen and plan appropriately. You can check the weather conditions by looking at the Inland Forecast. Sometimes, you will see a lot of athletes around, especially when the soccer and softball teams are practicing. Other times, you may see very few athletes. The Visitors Center has an auditorium where you will watch a video about the athletes in training. Guided Tours are offered weekdays. Self-guided tours are also available. Food – There are several Retail Centers offering food options along Olympic Parkway as you head east to the Olympic Training Center. 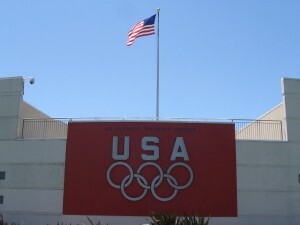 They include the Otay Ranch Town Center, which is about two miles west of the U.S. Olympic Center. It is located where the SR-125 Toll Road exits at Olympic Parkway. The fastest way to reach the Olympic Training Center is using SR-125 (South Bay Expressway) to reach Olympic Parkway. Note that this is a toll road. Tolls range from $2 – $3.75. Cash is accepted. You can also reach Olympic Parkway using freeway I-805. However, you will then need to drive 8 miles down Olympic Parkway, which includes access to a number of shopping centers and residential developments, making for a slower drive. Transit – Public transit is not available for the Olympic Training Center.